Sales Tips For How to Manage And Sell S.M.A.R.T. Those of us in sales love our acronyms — ABC, SWOT, ASAP, YOLO* — especially when we spell something that just makes sense and helps us remember important qualifications. We like things that make us feel S.M.A.R.T. The clearer you define your goals, the easier they are to achieve. While, of course, we need to set fiscal goals for our business to grow, it’s not all about the Benjamins, baby. 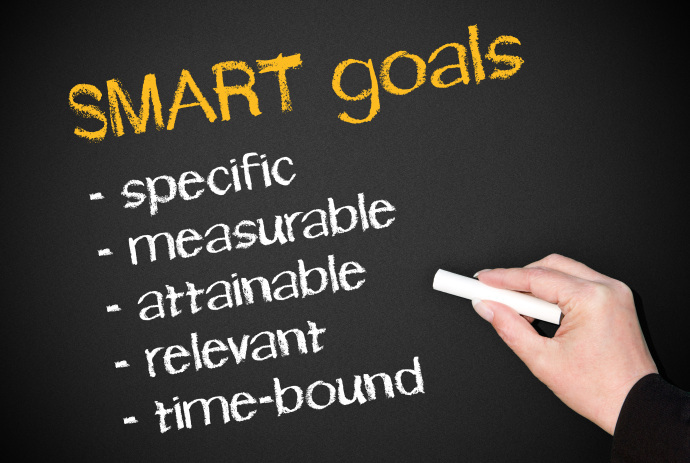 Whether your team is in sales, marketing, tech, or something else, clearly defined short-term goals are the surefire way to organize your day to day and to motivate your team! Now let’s see how to sell SMART! First, let’s review that short-term goals can be defined as ones that you can achieve in a day, a few weeks or maybe a month or two. Long-term goals are usually greater ones like quarterly or annual sales goals. The synchronicity of the two mapped out and written down increases your odds and, thus, your win rate. See how Quote Roller can help you in managing and selling S.M.A.R.T. Following S.M.A.R.T. not only helps your time management, but, by outlining the path to them, makes sure you are meeting the goals. So let’s break down today’s five letters and learn how to organize, prioritize and win! What do we want to accomplish? To create a business proposal that fully answers client questions and needs, so you need to ask the client about those needs. Where is this goal going to be accomplished? (What database or SaaS are we going to use to complete it?) Obvi, Quote Roller. Why should we do this? (What benefits are we offering the client?) Why should the client hire us? How does our proposal promise to meet his or her needs? Which are our perimeters? What must be finished when? What are our requirements? (For instance, at what point or number do we walk aways? How will we know if the goal is completed? Then, think about what smaller steps can be made to make your next business successful. Maybe it’s to simply create a list of questions to ask the client and learn her or his needs. Maybe it’s to cut the Meet Your Team section down from three pages to a paragraph and photo of each team member who will actually be apart of the project team. Even setting a set schedule for meetings to go over progress makes for a measurable goal. Can this goal be attained? How will it be attached? This doesn’t just mean don’t set absurd goals for you and your team. This also means manage your clients’ expectations. Don’t over-promise. Just as you need to outline your goals for your team, you need to outline your goals for your client. This timeline and budget can even be outlined within your business proposal, but be sure to include the disclaimer that it is an outline and if anything occurs to slow down the process, the client will be notified along the way. As for your team, realistic means developing a plan with goals that can be realistically met. Along with Realistic, this is often also referring to Relevant. Does your team even want this project? Is it well-suited for your business? Will this project move you toward or away from your long-term goals? Is it a good use of your time and resources? Really, if you have to ask yourselves any of these twice, your answer should be No. Now, you’re free to work on other projects. And finally, the W you’ve been waiting for: When. Of course, with all goals, time management is key. Even within larger goals, it’s important to create smaller goals, even if they’re checklists on scraps of paper or part of your team’s whiteboard, to check off on the way to completion. Be careful not to make deadlines too short, so they stress out your team, nor too long that you and your small business gets distracted by other projects. And, of course, heed the most important deadline of all: your client’s deadline. Once you’ve decided if a project is right for your growing business, plan everything else to suit your clients’ needs and you’re sure to keep them coming back. How do You sell S.M.A.R.T.? *OK, so YOLO is You Only Live Once — not exactly salient sales advice, but certainly good words to live by!